I am such a huge fan of Colourpop products, especially the Highlighters, Lippie Stix and Ultra Satin Lipsticks. When I first heard they were releasing a No Filter Concealer I was beyond excited as I am a foundation and concealer junkie, my collection is out of control. What impressed me most is that they released 15 shades! I had such high hopes but have been left majorly disappointed. I picked up 10 Fair Neutral which is the second lightest shade. When it arrived I was happy to see it had a good applicator with two flat edges like the Urban Decay Naked Skin Concealer. Most drugstore brands bring out the usual doe foot applicators which are just cheap. I really like the packaging, it is simple but doesn't look cheap. The concealer retails for $6 which is extremely affordable. "Our lightweight, creamy concealer was formulated with soft blurring pigments to give you a crease proof, matte finish. No filter needed." I bet you are wondering why it has disappointing me so much? Considering I have tried numerous concealers, I must own around 25 but this is definitely one that has disappointed me the most. 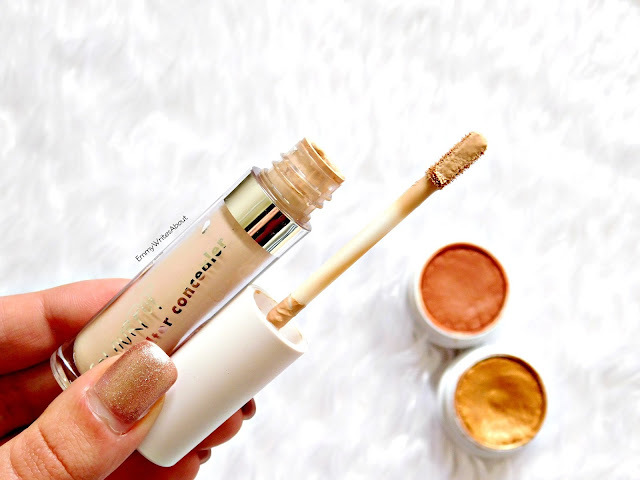 The coverage is perfect, it is medium to full coverage and covers my dark circles well which is exactly what I look for but that is the only good thing I can say about this concealer. It is described to be crease proof... erm no. I don't usually suffer with concealers creasing on me but jeez this creases so much. I have tried loose powders, pressed powders, baking with a sponge then trying different brushes but it still creases. I have the second lightest shade which looks perfect and brightening but it oxidises! I have never known a concealer to oxidise before. Once applied under my eyes it initially looks slightly brightening but then it dries dark. Above you can see where it has oxidised on my arm, on my face it oxidises even more! To some people it may not be an issue but for someone who is pale it is a big no no. It makes my under eyes look dull. As the day goes on it seems to look darker. I have tried using different powders but it just makes my under eyes look so dry and cakey. I don't suffer with dry under eyes and this is the first concealer to look as dry as it does on my skin. 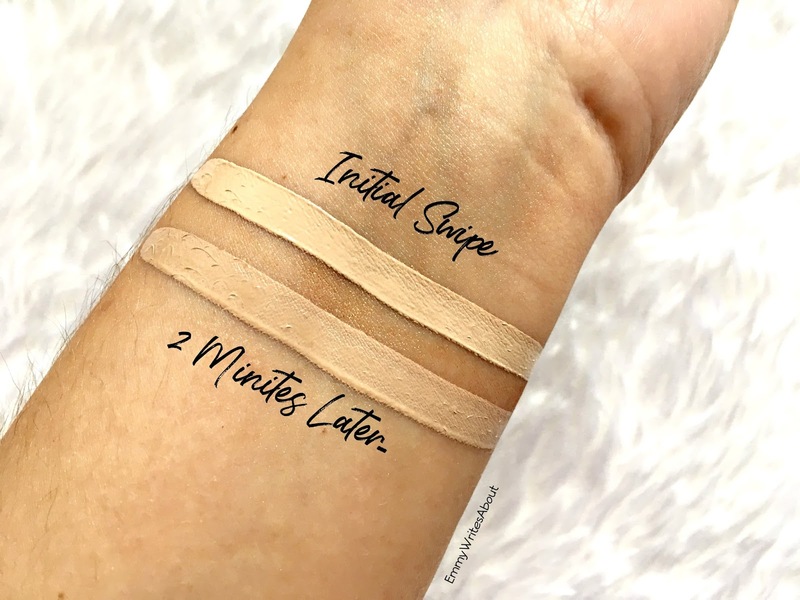 I really did have such high hopes for this concealer and given it so many chances with different products and tools but it just doesn't work for me. I am glad I didn't order two shades like I was going to! It is such a shame as I really do love Colourpop, you can see my Full ColourPop Collection Here.